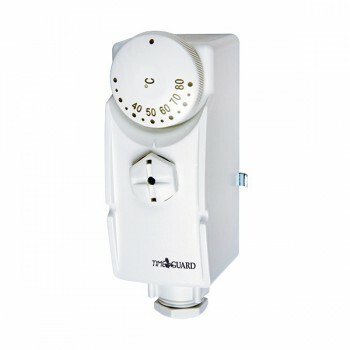 Timeguard TRT044 Cylinder/Pipe Thermostat at UK Electrical Supplies. 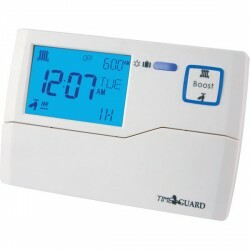 Timeguard’s Cylinder/ Pipe Thermostat (TRT044) is a surface-mounted mechanical thermostat used to control the temperature of domestic hot water cylinders (uninsulated and foam lagged). 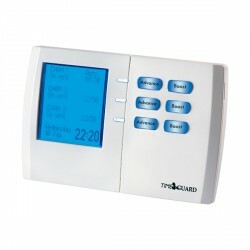 This unit comes complete with a cylinder strap and a wire strap, so it can also function as a pipe thermostat. The TRT044 can be used to switch a circulating pump, boiler or most common zone valves.